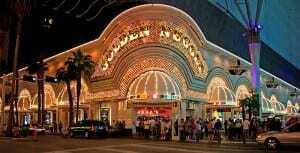 The Golden Nugget Casino in Las Vegas caught fire at approximately 8:26 a.m. Thursday. One man was rushed to a Las Vegas medical center in critical condition following the fire at the Golden Nugget Casino. Las Vegas fire spokesman Tim Szymanski said firefighters found the unconscious man in a guest room in a Golden Nugget Casino hotel room on the unoccupied 22nd floor. The 22nd floor is among several being renovated at the Golden Nugget Casino, but officials do not know yet whether the man was a worker or an intruder. Approximately 60 people evacuated from the 21st floor, and nine people left the suites on the 25th floor of the Golden Nugget Casino. The three floors in between are unoccupied due to the renovations. Szymanski says it appears the fire was confined to one room.